I couldn’t resist going for a drive in Charles' black TR3A. I was always a little nervous driving this particular car when he was alive, I think it was his favorite. Tonight I just let it roar though, down the highway over to Armagh, then down 56 and eventually back up 403 to Killen Road and back to TRF. 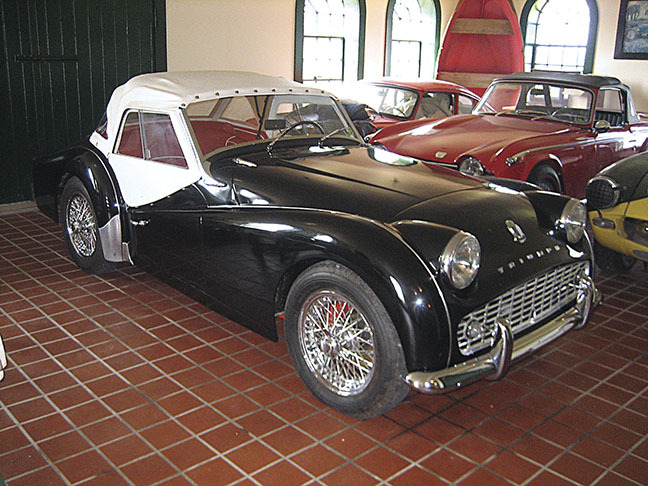 This is the TR3A Charles was trying to restore when he started TRF and it was restored again about 10 years ago. There was some kind of problem with the cooling system not too long after the last restoration, and I think the head cracked. Charles sourced a new aluminium head from the UK, and Tom Spadafora, who ran CAR components at the time, built the current engine. 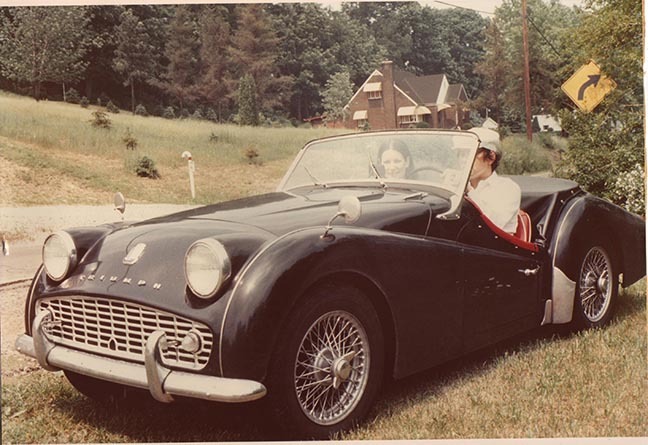 Charles and Tom had a bit of a rocky relationship, but my dad loved the engine Tom built for his TR3A and I often heard him roaring down Killen Road late in the evening before he settled down for a night of work. In my mind, Charles and Tom were sort of the “yin and yang” of the British Car hobby. As you know, Charles was dedicated to originality and he was a bit of an Anglophile. Tom was a bit earthier than Charles and he was mostly dedicated to speed. As I was roaring down the road this evening, it seemed to me that yin and yang had melded together nicely in the black TR3A. Sadly, Tom died a few years ago too. I miss Tom nearly as much as I miss Charles, but I learned a lot from both of them and I know I wouldn’t be able to do what I’m doing now without them.